Rohingyas in all over Arakan are still confined as refugee detainees, facing subsequent harassments and buying or managing foods is officially prohibited. The condition of very few Rohingyas, Kamans and Rakhine muslims living in the other regions of Kyauktaw, Rambre, Mrauk Oo & Minbya, Pauktaw and Kyaukpu townships is unknown. Generally, aid groups and INGOs have informal contact with these regions. Unlike Rohingyas in Northern Arakan, their lives and survival are in the hands of local Rakhines and authorities. 20 July, Four Rohingyas of Don Byan (Dua Mraung) village were grabbing away by 4 Paramilitary forces followed by 5 Rakhines during gathering for Friday prayer and brutally beating along the way. When the villagers came out after hearing screaming voices, the forces opened fires to the crowd. A woman and a man were hit bullets in the scene. Some villagers reported to Military Head Quarter and brought back those taking away 4 Rohingyas. Because of they been beaten-up brutally, they were remained at military medical service for medication. The source also said that from the past week, UNHCR is contributing medical services and WFP is supplying mainly rice, bean and oil in all four Rohingya refugee camps along Darbaine (Dae-baine), Gwaladil (Taechaung), Shisha Fara and Thakkaybyin (Sakki Fara) villages. 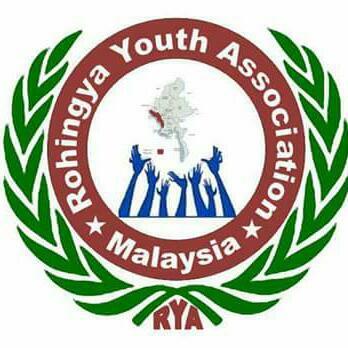 According to Abdul Razak, a member of Ethnic Rohingya Committee of Arakan-ERCA based in Malaysia, 75 of thousand of Rohingyas who are currently detained in Buthidaung prison were sentenced 5 to 10 years with false immigration charges on Monday- 16 July 2012. Before the judge handed down the decision in the court, they were humiliated by the judge on their skin-colour and race and lack of document. Hafez Jafor from Ali Para Mosque and Moulana Mohamed Yunus from Kanree graveyard Mosque of Ward number (2) were arrested from the Mosque compound at about 12:00pm by police officer Aung Kyaw Than. Moulana Mohamed Amin and Moulana Sami Uddin from Ferry point (ghat) Mosque of Maung Ni village, were arrested by police officer at about 12:30pm today. The police officer along with police personnel tortured all the four religious leaders on the road and beat after pulling their beard. On the times of the religious leaders called for God mercy, police personnel put slippers into their mouths. Abdu Razak (ERCA) also report that Authority told the Rohingya villagers of Shwezar (Hayun Khali) that they are unwanted dark Bengali people and they might go back to Bangladesh in good time. Homeless Rohingya villagers of Kararo Kondan (Sara-parang) were trasnferred to Shinkhali (Shil-Kha-Li) villages since about 12 July and the villagers received 9 Lakhs Kyat from president of Village Peace and Development Council-VPDC. But they are still confined there like other Rohngyas therefore the villagers requested from the VPDC president to provide rations. Upon their request, Khala s/o Ashrafmya and Abdul Rahim s/o Nur Mamad were brutally beaten. The villagers do not know about the money came from where. The report also confirmed that homeless Rohingya villagers of Kondan (Kutti Chaung) and Saw Farang Fara, were moved themselves to Doonsey and upper Razabil villages. The authority told the villagers not to risk their lives by going out from designated area or going back to their villages which were burnt down. But the two other groups of homeless villagers of Nyaung Pin Gyi Rwa (Muzadiya ) and Tabretaw Rwa (Zufrang) are still residing beside their burnt down villages.